circulation, increased muscle strength and power, better flexibility and range of motion, better core conditioning and stability, and faster recovery. The G-POWER is the next generation in whole body vibration machines. Its true linear motion platform differs from traditional whole body vibration machines in 2 key areas: 100 percent True Linear Vertical Motion and the Ability to start at a low frequency and increase to high frequencies. It has been proven that every person has his or her own muscle frequency and each human body is designed to absorb vertical vibrations better due to the effects of gravity. Many machines vibrate in three different directions: sideways (x), front and back (y) and up and down (z). The z-axis has the largest amplitude and is the most defining component in generating and inducing muscle contractions. Abercromby at al and Burkhardt stated that vertical movement is the most defining component in generating and inducing muscle contractions. G-POWER uses a true linear vertical motion to provide the most comfortable and natural workout, while increasing the electromyography (EMG) activation of muscles 8-13 percent more effectively than current WBV machines. Get the awesome Multisports G-Power G-2D Linear Motion Platform and enjoy a high tech machine with amazing health benefits. Call 1-800-875-9145 to speak with one of our fitness advisors with any questions you may have or Go to FitnessZone.com today to order your MultiSports G-Power G-2D Linear Motion Vibration Fitness Platform Machine. 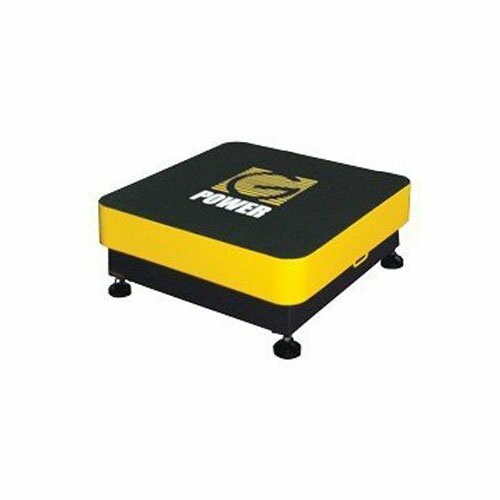 Order your MultiSports G-Power G-2D Linear Motion Vibration Machine from FitnessZone.com today!